Since I primarily shoot weddings in southeast Nebraska, I wasn't overly familiar with locations for Kurt and Emily's Overland Park wedding. I scouted some great locations in Ironwoods Park, but Emily came up with the idea to shoot at the Museum at Prairiefire and I must say it was a brilliant idea. 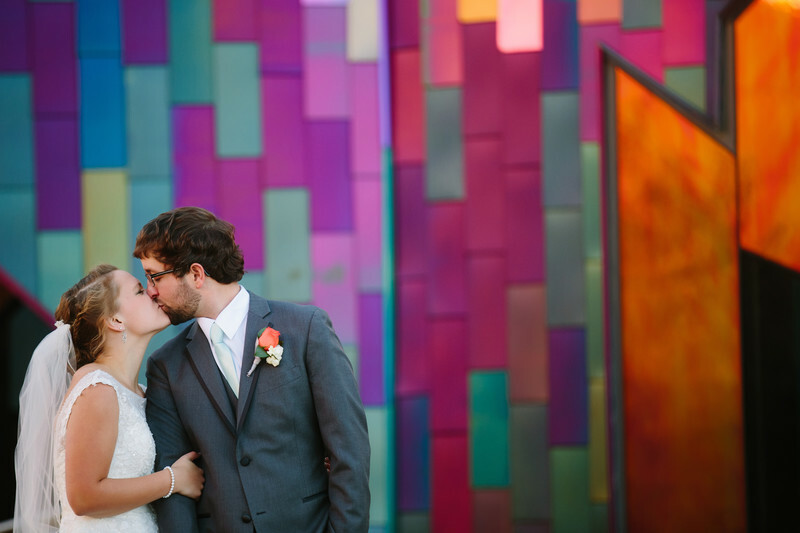 The building is so unique and makes such a fun backdrop for photos. I wish we had more time in town to actually visit the museum. The museum is even available to rent for weddings. You can find out more information here. Location: Museum at Prairiefire, 5801 W. 135th Street Overland Park KS 66223.